As a former collegiate skier and assistant athletic trainer, he saw from early on the need to develop data-driven fitness programs, where the planning, tracking, and evaluation were just as important as the actual exercises. His experience as a successful web developer, matched with his passion for fitness, allowed him to create a comprehensive, trackable system where Mind Meets Muscle. 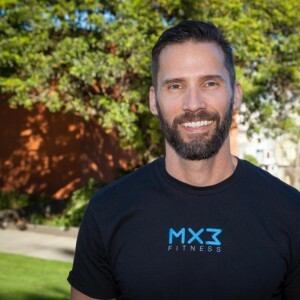 One-on-one personal training with the founder of MX3 Fitness. Glenn trains primarily out of the Castro location.